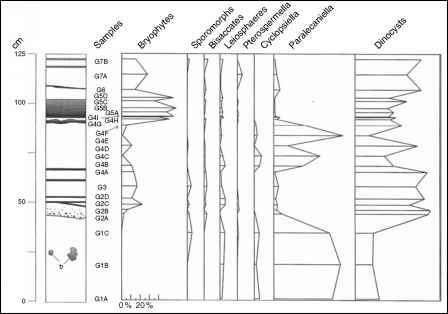 Figure 1.1 Part of the geologic time scale centered on the K-T boundary. Selected radiometric ages provide calibration (Ma = mega-annum, million years). Age data from Gradstein et al. (2004). extinction, but by a physicist and his colleagues, outsiders as it were. Not all paleontologists took umbrage, but many did. The asteroid impact hypothesis soon became widely known in the popular press because the best known of all fossil creatures - the dinosaurs - top the long list of organisms whose geologic history ended at the K-T boundary (indeed, the Mesozoic Era is popularly known as the Age of Dinosaurs). In the best tradition of the natural sciences, however, the impact hypothesis quickly generated a wide variety of studies designed to investigate its possible validity, or in many instances, intending to disprove it. These studies, far too numerous to be reviewed here, were responses to what we call the Alvarez challenge: to prove or disprove the impact hypothesis of the K-T extinctions. Because the matter of extinction largely concerns the field of paleontology, paleontologists - we among them - were those primarily challenged. The Alvarez asteroid impact hypothesis posed a specific question: did an extraterrestrial impact cause extinction? The challenge to us was to determine whether the fossil record of plants in terrestrial rocks could answer this question. at numerous K-T boundary sections overwhelmed the competing idea that volcanism in India was responsible for the iridium anomalies. The impact crater itself was eventually located and identified (Hildebrand et al. 1991). A full review of the fascinating story of the evolution of the impact hypothesis to the status of a scientific theory is beyond the scope of this book; the best accounts are Alvarez (1997) and Powell (1998), both eminently readable books in the history of science. This book is our answer to the Alvarez challenge. Popular interest in dinosaurs notwithstanding, fossil plants yield the most information about the effects of the K-T extinction event on the land. Our goal is to summarize evidence from fossil plants that bears on the impact extinction theory.